Search Results for "man lifting weights"
Man lifting weights at gym. Handsome bearded shirtless muscular man with ripped strong body lifting weights doing back muscles exercise at the gym copy space. Sports, motivation, determination, healthy lifestyle concept. 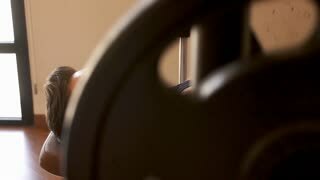 Close up of a muscular young man lifting weights. Close up building muscles and strength. Man lifting heavy dumbbell close up. Rear view muscular man lifting dumbbells. 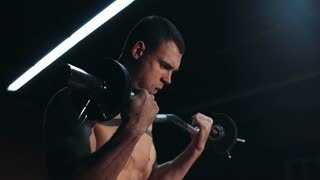 Young man lifting weights on dark background. Sportsman doing arms workout. Face of elderly man lifting weights. Senior grey haired man doing heavy weight exercise for chest with barbell in gym. 1960s: Men playing handball. Man lifting weights. Man stretching on mats. Man boxing punching bag. Man jumping on trampoline. Man pulls down weight. Men climbing ropes.